Without a doubt the recent hurricanes affecting Texas and Florida have given each of us cause to take a moment and be thankful for what we have. 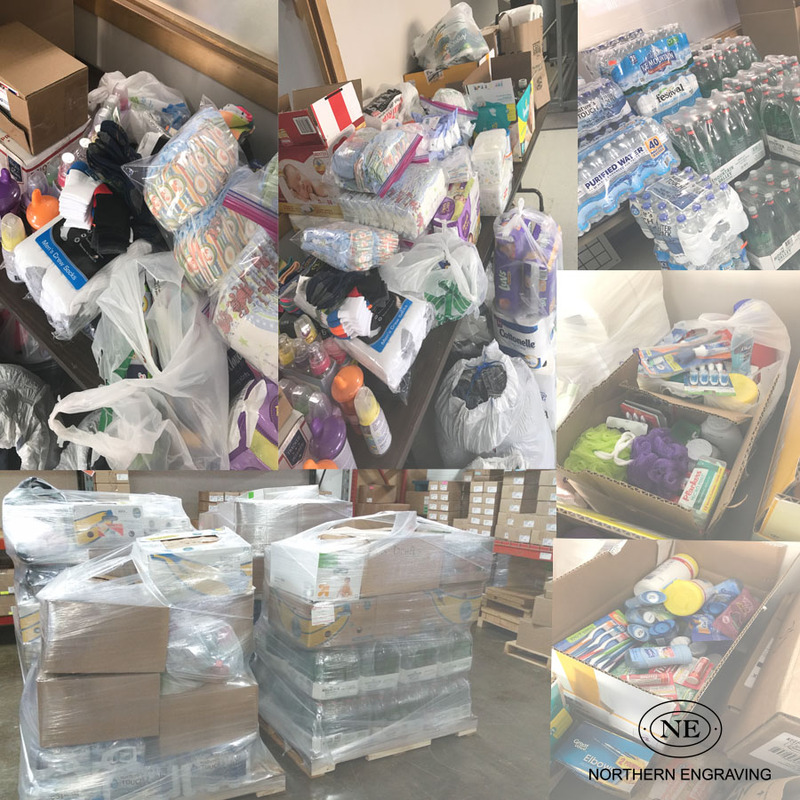 Over the last couple of weeks our Corporate Office in Sparta, WI has organized and collected a variety of personal care items, bottled water, nonperishable food items and taken in over $500 in cash that is now on its way to go towards relief efforts for both Hurricanes Harvey and Irma. The personal care items, water and food are being transported to the Bay Area Church in League CIty, TX by one of our regular shipping companies CH Robinson at no charge. Kwik Trip of Sparta, WI donated several cases of bottled water. We appreciate and thank them for partnering with us to help out in this very real need. The money collected has been given to the Salvation Army and will go towards both hurricane relief efforts. Our neighbor, The Gage Corporation contributed money towards this as well. We also extend thanks to them. This exercise in compassion and giving is proof and a great example of how our employees, the communities we live in and companies can make a difference. The road to recovery will be long. We continue to keep all who are affected by these events in our thoughts.